We drove to Toledo to see the exhibit and had an opportunity to meet Ben Pond, the director of the gallery, and to talk to the students involved in the exhibit. Some great pictures of the exhibit are here – www.facebook.com/CVAGallery . John Ittel’s beautiful 1954 CJ3B with a Newgren 3-point hitch is a perfect example of a farm jeep. What made a lovely-to-look-at and interesting exhibit even more special was the opportunity for the students (and the public through pictures) to see the farm jeep in action. Through a tree planting exercise, one can see both the connection to agriculture and the “universal” nature of the jeep. 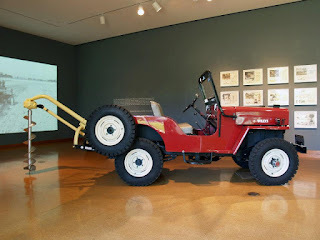 The pictures (here) show the “universal jeep” as a pickup, hauling the small trees to be planted, a passenger vehicle, hauling students, and as a tractor. 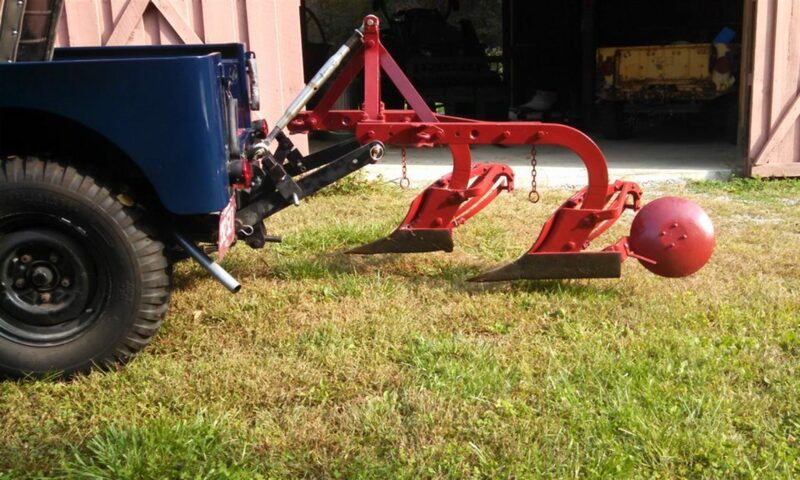 As a tractor it carries the implement (in this case an auger powered by the PTO (power take off)) to the field and engages the implement with the ground to create the holes for planting. 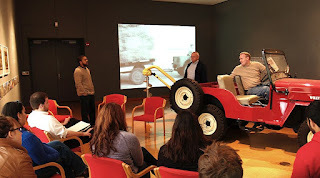 The planting exercise also gave us a chance to discuss some of the reasons why don’t see modern versions of the farm jeep. Evan is showing why the jeep wasn’t favored by farmers as a tractor. 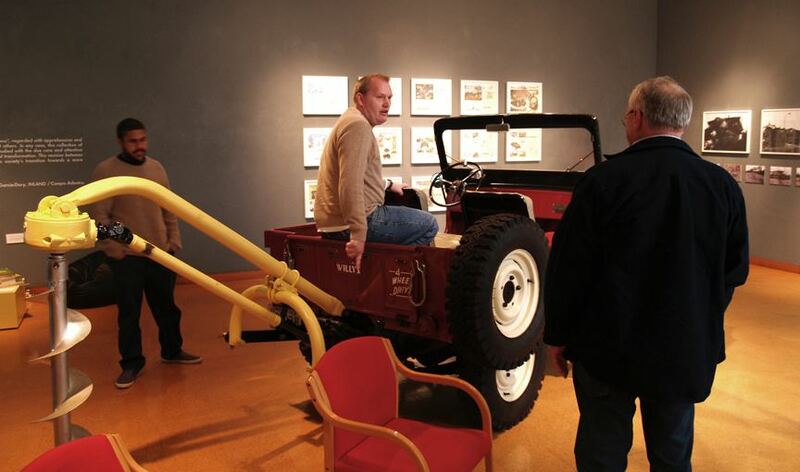 His location at the back of the jeep approximates where a farmer would be located while driving a conventional tractor, providing easy visual access to the implement. From the jeep’s driver’s seat, it is much harder to see where the implement is making contact with ground. We enjoyed our visit and discussion with the students and seeing the work of M12 and the CVA Gallery. It did validate what we have believed all along. A farm jeep is really a work of art. Driving on the beach in your Jeep is great fun! In and around Brisbane there are lots of wonderful places to get your Jeep offroad and sandy. I see a winged badge = Chrysler . It also has the shape I've accustomed to see on Chrysler products over the years. I just hope they don't have a strip of chrome connecting the tail lamps like everyone else. Next PostNext Every decade or so..